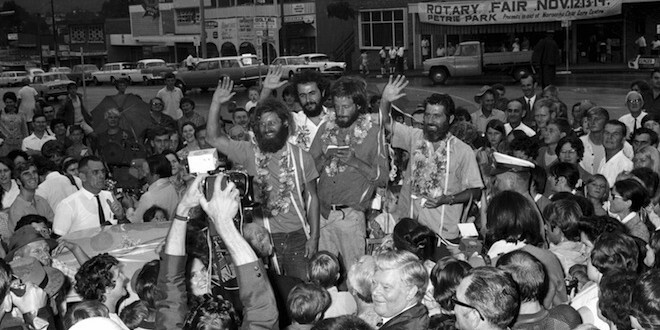 Crew of La Balsa raft arriving at the Maroochy Shire Council Chambers after a parade through Currie Street, Nambour, 6 November 1970. Courtesy of Heritage Library, Sunshine Coast Council. The story behind the Sea Hitchhiker, featured in #1221 Coast to Coast. Gabriel was involved in two expeditions. The first was La Balsa (‘the raft’) in 1970. 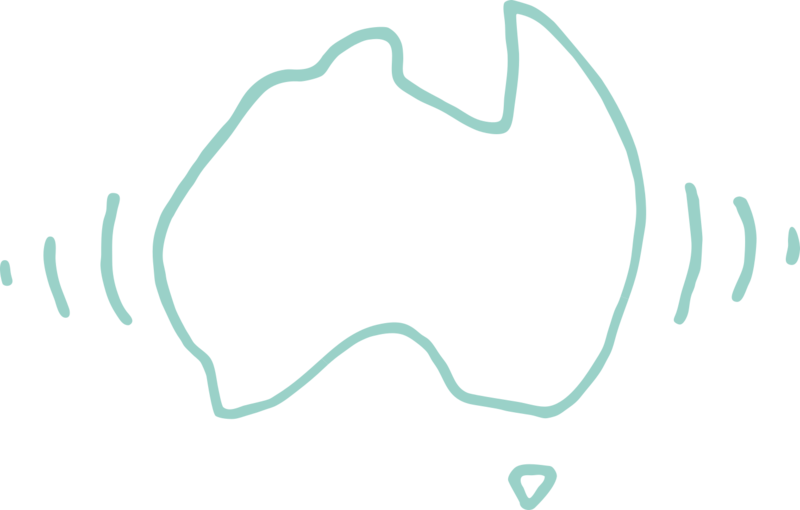 This first sail went from Guayaquil to Mooloolaba in one raft, with four crew. Its sail was designed specifically for the voyage by Salvador Dali. The second expedition was Las Balsas (‘the rafts’) in 1973. It went from Guayaquil to Ballina. There were three rafts, with four people per raft, for a total of twelve crew. Explorer Thor Heyerdahl had previously lead a famous 1947 raft expedition called The Kon-Tiki Expedition across the pacific. The idea was to show that Polynesia could have been peopled by rafts from South America. Gabriel’s expedition was trying to prove something similar. In Oslo, there’s a swish museum with Heyerdahl’s reconstructed raft, Kon-Tiki. A raft from the second, Las Balsas expedition — the raft Gabriel captained, named Aztlan — is on display at a museum staffed by dedicated volunteers in Ballina, the Ballina Naval and Maritime Museum. Gabriel said during the interview that he wishes that this museum was as well-funded as its Oslo counterpart. You can help preserve Aztlan by retelling the story of the expedition, visiting the museum or being a generous millionaire with money to burn. La Balsa crew members relaxing in the raft cabin. Courtesy of Heritage Library, Sunshine Coast Council.